Three teams of researchers working on a diverse range of projects have been awarded 2017 Petit Institute Seed Grants. 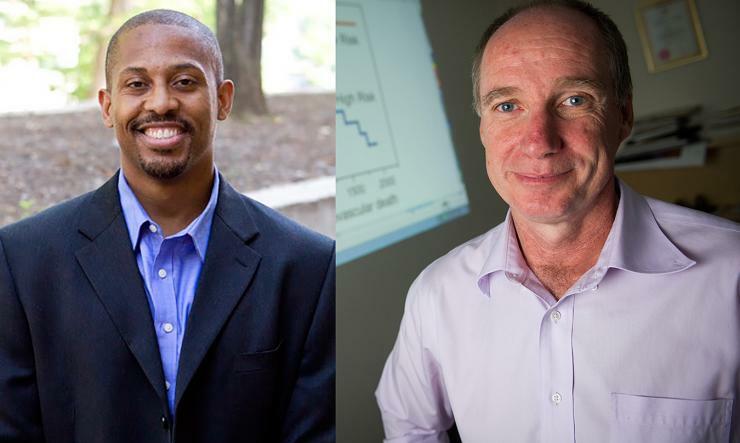 The annual seed grant program run by the Petit Institute at the Georgia Institute of Technology pairs two researchers from the Petit Institute as co-principal investigators, one based in the College of Engineering, and one based in the College of Sciences. • Ed Botchwey (associate professor, Coulter Department of Biomedical Engineering) and Greg Gibson (professor, the School of Biological Sciences) are working on a project entitled “RNA-Seq and Mass Spectrometry Based Lipidomics of Mesenchymal Stem Cells.” Their long-term goal is to develop processes to maintain and enhance the immune modulatory potency of bio-manufactured mesenchymal stem cells (MSCs) based on modulation of sphingolipid (SL) metabolism. 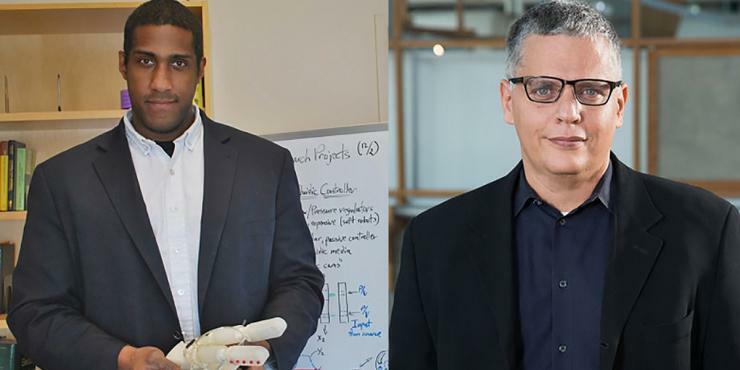 • Frank Hammond III (assistant professor, Coulter Department of Biomedical Engineering) and Gil Weinberg (professor/director of Center for Music Technology) are working on a project entitled, “Ultrasound–Based Recognition of Human Intent for Skillful Control of Dexterous Robotic Prostheses.” Ultimately, they plan to use portable ultrasound and deep learning methods to recognize subtle, complex patterns of change in skeletal muscle morphology (shape changes during muscle contraction and relaxation) and leverage that information to predict human motion intent and enable dexterous, skillful control of feedback-related robotic prostheses. 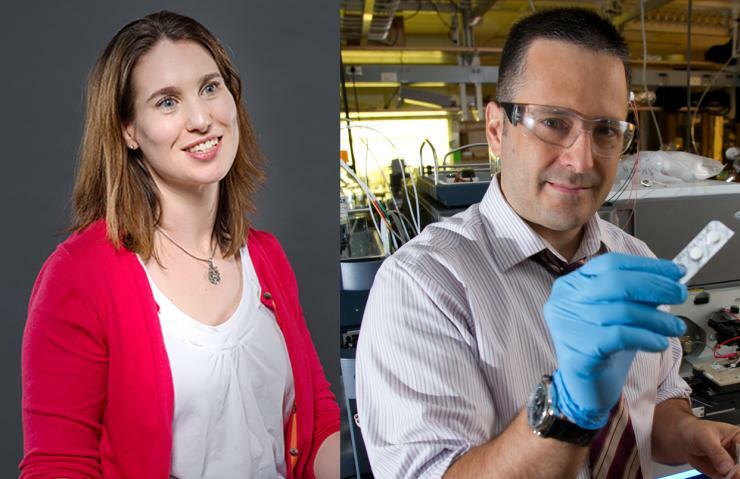 • Melissa Kemp (associate professor, Coulter Department of Biomedical Engineering) and Facundo Fernandez (professor, School of Chemistry and Biochemistry. Their project is entitled “Metabolic phenotyping in pluripotent systems via MALDI imaging.” They plan to develop novel imaging tools that will have broad applicability to a large variety of biological problems of interest to Petit Institute researchers, including developmental biology, tumorigenesis, and regenerative medicine. The funding period for each of these grants started July 1, 2017, and the duration will be up to two years, contingent on submission of NIH R21/R01 grant proposal, or an equivalent collaborative grant proposal, within 12 to 24 months of the year-one start date. This year’s group of grant recipients epitomize the goal of the seed grant program, which is designed to stimulate interdisciplinary research between world-class PIs that haven’t previously worked together.